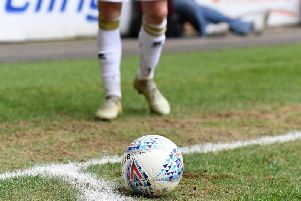 Bottom side Bolton Wanderers thoroughly embarrassed a frankly awful MK Dons side 3-1 at the Macron Stadium on Saturday. Miscontrolling, unable to pick a pass and all at sea at the back, it took just six minutes for Bolton to take the lead through Rob Holding. Though Joe Walsh hit the crossbar after 15 minutes, it proved to be a false dawn as their performance capitulated, making the Championship’s basement club look capable of conquering the world. Darren Pratley doubled the lead shortly before the break, and it was no more than Wanderers deserved. It should have been more in the second half, with Bolton attacking at will and only their own inability to finish preventing them from winning by a bigger margin. Josh Murphy’s goal with two minutes to go was mere consolation, but it was instantly rectified when Shola Ameobi scored in stoppage time to make it 3-1. Following the 3-0 win over Northampton in the FA Cup in midweek, Karl Robinson made five changes to his side for the trip to Bolton. Joe Walsh returned to the starting 11, as did Jordan Spence in the back four, while Darren Potter and Josh Murphy also returned to the midfield. New signing Jonny Williams went straight into the starting 11, and started life in the hole behind Simon Church. Bolton are rooted to the bottom of the Championship, but it took them just six minutes to take the lead against Dons. Only half-clearing Dean Moxey’s free kick, Liam Feeney was able to get to the byline on the right flank and send in a high ball into the mixer. David Martin appeared to be blocked off by Gary Madine, who managed to get a head on the ball but saw it come off the bar. Rob Holding was on hand to pounce on the rebound though, poking home from close range to put the home side ahead. Having scored his first goal for MK Dons last week in the 1-0 win over Reading, Joe Walsh nearly had his second on the quarter hour mark but saw his header crash off the cross bar, having climbed highest to reach Antony Kay’s flick from Jake Forster-Caskey’s corner. The visitors looked the better side in possession, but really struggled to make an impact on Ben Amos’ goal. Jonny Williams was making a positive first impression, keen to chase and run with the ball to get things going for Dons. Forster-Caskey too was doing an impressive job marshalling the defence while making a nuisance of himself in disrupting Bolton with some impressive tackling and positional play. Bolton though weren’t without their chances. Madine’s powerful header was cleared from under the cross bar by Forster-Caskey, before Wellington Silva gave Dean Lewington the run around but saw his strike saved at the near post by Martin. Bolton’s record at home has been one of the only things they can be positive about this season, and it looked as though it might be their afternoon when skipper Darren Pratley doubled their lead four minutes before half time. A brilliant Walsh tackle to deny Mark Davies pulling the trigger looked to alleviate any problems, but Pratley pounced on the loose ball, blasting it home, via a deflection, to make it 2-0 at the break. The second half started as poorly as the first half ended for Dons, and but for Liam Trotter’s loose finish at the near post, should have found themselves 3-0 down. With the defence at sea, Holding was allowed to run nearly 70 yards and was only kept out by Martin’s diving save. Rolling the dice on the hour, Robinson introduced Dean Bowditch and teenager Giorgio Rasulo for Simon Church and the impressive Williams. It did little to change their fortunes though. Bolton continued to look very much the team in the ascendancy, attacking at will and causing Dons no end of troubles. Unable to get hold of the ball in midfield, Dons couldn’t mount anything resembling an attack, though Bowditch nearly caught Amos off-guard with a chipped effort, though the keeper was able to gather. Bolton should have extended their lead on countless occasions as Dons defenders could barely hold their footing, falling over at the earliest opportunities. So it was a surprise when Josh Murphy managed to pull one back for the visitors with two minutes of normal time to go to threaten the unlikeliest of unlikely comebacks. Substitute Shola Ameobi would nip any chance of that in the bud in the first minute of stoppage time though, brilliantly out-muscling Spence to beat Martin from close range and put the final nail in the coffin.